Experience what its like travel back in time with Grab Philippines latest promotion! Ride classic and vintage GrabCars and tour around BGC in part of Philippines' Independence Day celebration and Grab's 4th Anniversary! In case you didn't know these are Vintage Cars from Don Robert's own collection of classic cars that were used in weddings and even some made it to noontime shows. Grab Philippines, Southeast Asia’s leading ride-hailing app, is travelling back in time this Independence Day with Journey to Grab --- a showcase of the evolution of transportation in the Philippines. Time-honored vehicles from the 1920’s up until the 1960’s will be rolled out as GrabCars for the weekend. 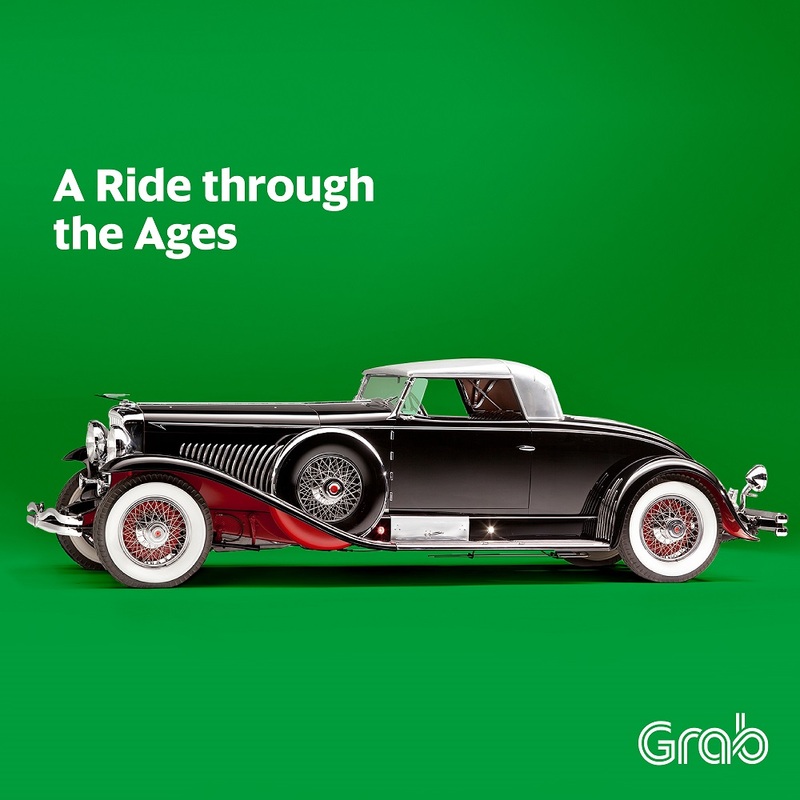 From June 10 to 12, Grab will be giving passengers a chance to book these classic cars for free and take old school rides around Bonifacio Global City (BGC). From a 1920’s Cadillac to a 1960’s Jaguar, passengers will be able to book a free 15-minute ride around BGC. For more information and updates on Grab Philippines’ latest campaigns, visit their Facebook page www.facebook.com/GrabPH. To be able to book the vintage GrabCars this weekend, download the Grab app, available on the Apple AppStore and Google PlayStore.